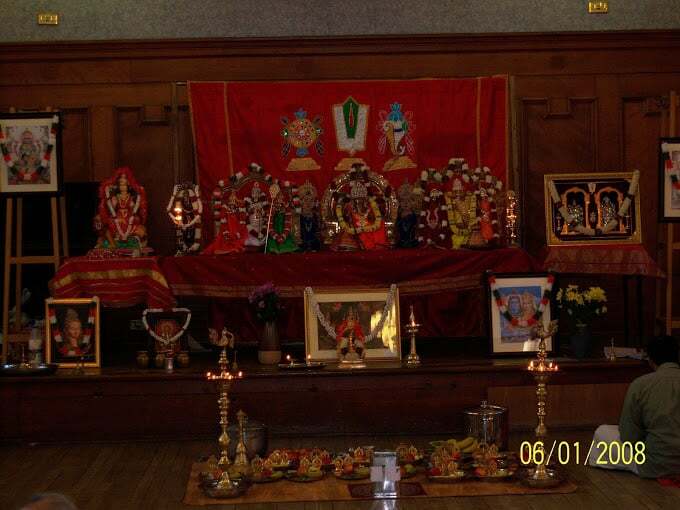 They propose to maintain a temple in Glasgow for the following reasons. To develop the cultural beliefs that originated in Southern part of India. To conduct prayers, activities like festivals, sermons and lectures by spiritual personalities and also to impart knowledge. To conduct classes in Tamil, Telugu, Malayalam and Kannada. To promote the ideals of Hinduism. To provide an opportunity to practice various cultural activities, like naming ceremony, mundan (head shaving), etc. The Former Wardlawhill Church, 76 Hamilton Road, Glasgow G73 3DQ. A voluntary group has been meeting on a regular basis for the last three years discussing on issues related to the temple. 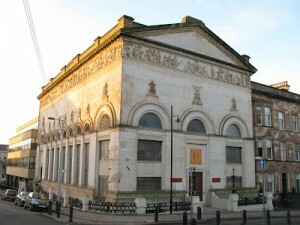 We have also contacted a few M.Ps, Councillors, requesting help to provide us with a place. 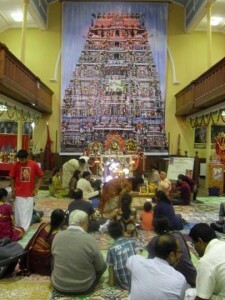 In the long term, they hope to have their premises for the Hindu temple. 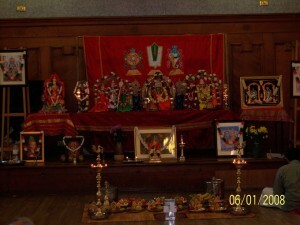 The first inaugural pooja was performed on the 21 August 2005 at Partick Burgh Hall, Glasgow. Tamil, Telugu, Kannada and Malayalam languages will be taught. They look for your support to make this a success. 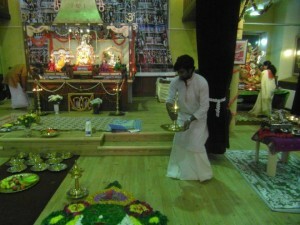 Your presence for Sunday Poojas with your family and friends. Require volunteers to teach different languages.